How often do we think about the architectural structures that contain and direct our every day movement? Urban architecture and planning dictates to some extent the ways in which we use a city; certain routes and spaces are left open for our navigation. But we are fenced in by more abstract barriers and borders, as our access to allocated ‘public’ spaces is granted in different degrees by various authorities. Who are these authorities? Who is dictating how public spaces in a city are used? How might the public (the 99%) reclaim rights over those spaces that were intended for their use? New York-based Chilean artist Francisca Benítez investigates the power relations behind the structures of our urban environments. Last night, a small group gathered in Vauxhall’s Gasworks gallery for a performative lecture by the artist in which she presented several of her documentary and intervention/performance projects undertaken in New York, Paris, Santiago and London. Quoting extensively from eminent Marxist thinker David Harvey, who is clearly a strong influence, Benítez discussed the importance of ‘the freedom to make and remake ourselves and our cities’ which Harvey calls ‘one of the most precious yet most neglected of our human rights’. 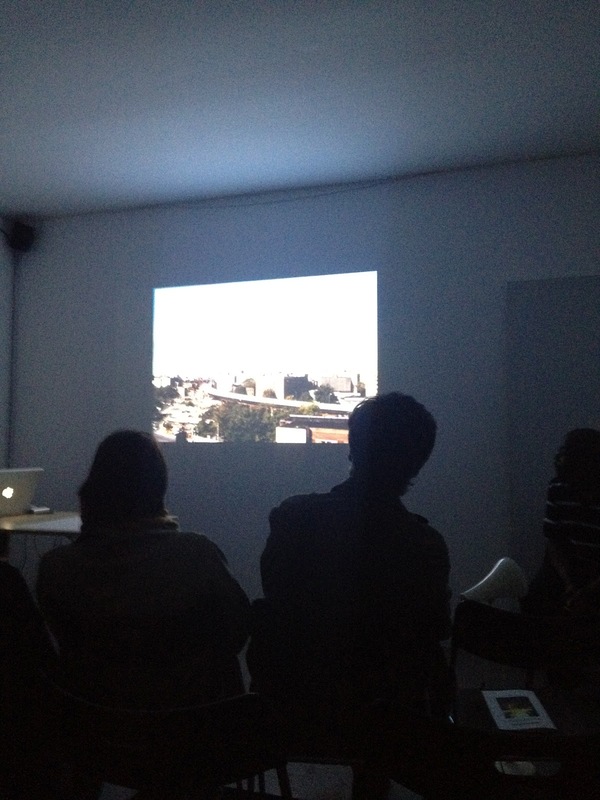 Rather than talking abstractly about these issues, Benítez investigates the politics of specific locations. She developed one work, De-fence LNP, in response to the restricted public use of the publically-owned Louise Nevelson Plaza in New York, where certain areas had been cordoned off with steel barrier fences. These heightened security measures were originally effected in response to 9/11 but had spread across the space ‘like tentacles’, blocking access to a part of the plaza often used for gathering protesters. Benítez choreographed a simple performance-dance piece in which 26 dancers would enter the square from different directions and simultaneously pick up and remove the metal barriers that filled the public space, lining them up at the side of the plaza. The intervention was neither aggressive nor illegal and yet it was interrupted by New York's Federal Reserve (Benítez likened them to ‘a privately owned army with the authority of federal officers'). Her investigations continue. Another of her works, Property Lines, examines the less visible fences that map the city. Benítez has made a series of graphite rubbings of property land markings – lines etched in the floor to demarcate the margins of a site when the facade of a building has moved. The piece exists as both an intervention/performance piece and drawings, the latter of which, when seen together, accentuate the hostile tone of the inscriptions: PROPERTY LINE CROSSING BY PERMISSION ONLY; PROPERTY LINE CROSSING BY PERMISSION ONLY BUT AT THE RISK OF THE USER; PERMISSION TO CROSS WILL BE REVOKED AT WILL. ‘Art is supposed to link societies not separate us’ Benítez announced half way through the lecture; ‘art isn’t meant to sit and look pretty but empower us’. This empowerment she sees as coming though a collective movement to reshape the processes of urbanisation; we can change ourselves through changing the city. Join Francisca Benítez for her walk through London on Sunday 30th September ‘Through Sites of Dissent’ to hear more. Benítez and the three other resident artists at Gasworks are opening their studios to the public Friday 28th-September 29th September, to coincide with the South London Art Map (SLAM) Late Fridays. All events are free.